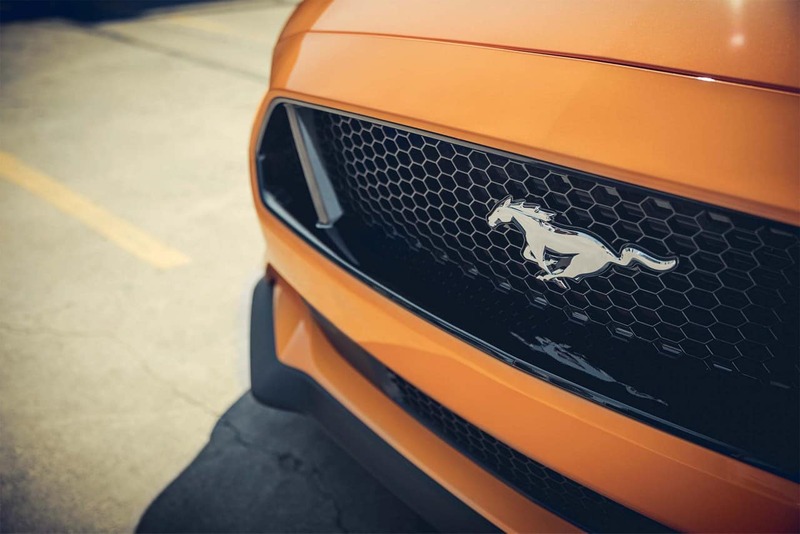 The new 2018 Ford Mustang is here at Tomball Ford, and it’s ready to thrill and excite drivers everywhere. You already know that every Mustang has incredible speed, handling, and performance. A remarkable 2.3L Ecoboost engine is included here. The hardware on the 2018 Mustang is an achievement in engineering that must be experienced. This unique engine delivers up to 310 horsepower. Torque also is increased on the 2018 model to 350 lb.-feet. For the full fun Mustang experience, use the standard Track Apps to get detailed metrics on the car’s performance. You’ll see everything from acceleration times, to lap times, and more. This two-door Mustang will seat up to four people comfortably. 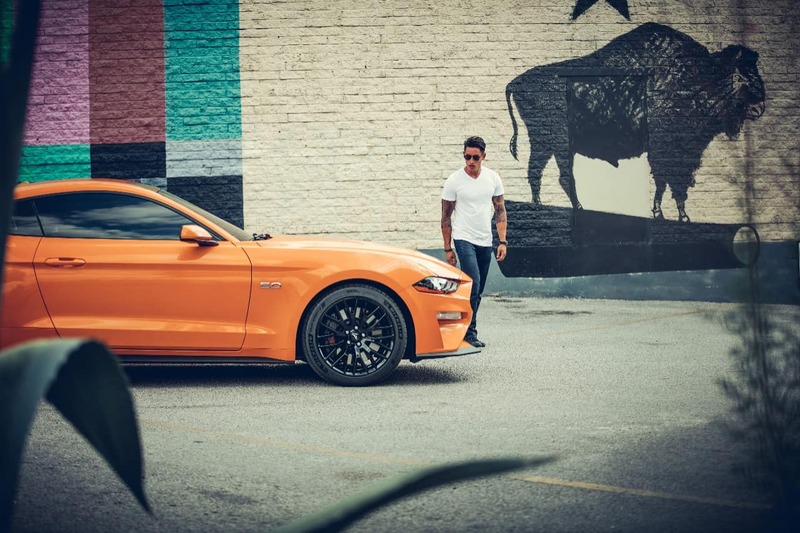 The 2018 Ford Mustang is built for speed and performance, so it has an edgy, aerodynamic, and sleek exterior. Choose from up to eleven different colors for your 2018 Mustang. Lots of classic vivid racing colors are here, as well as some new favorites like Kona Blue and Royal Crimson. There are no fewer than nine available trims for the new 2018 Mustang. The Mustang is made for customization, so you can create the perfect ride. Let’s get started with the Ecoboost Fastback model. 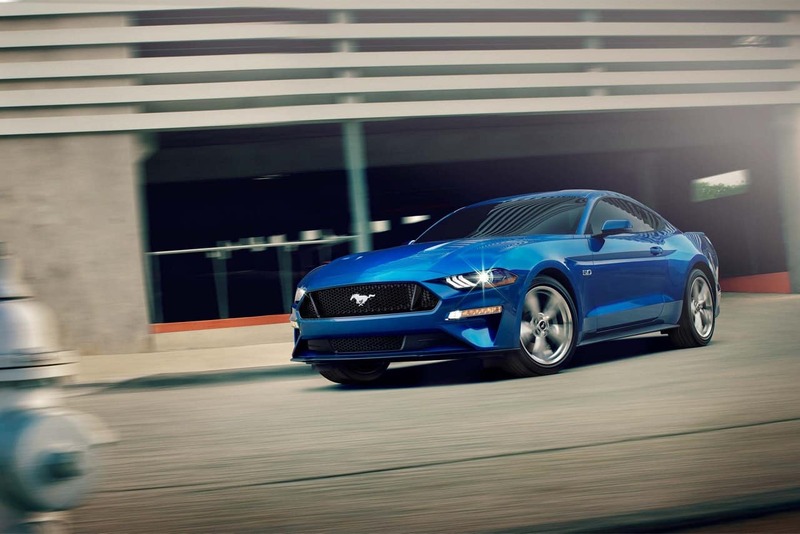 Besides that great 2.3L EcoBoost engine, the Fastback comes with standard LED headlamps, independent rear suspension, and a 6-speed manual transmission. Next up, the Ecoboost Premium Fastback Mustang has Sync 3 navigation and entertainment system and temperature-adjustable front bucket seats.The Ecoboost Convertible trim has all of the 2018 Mustang’s great standard features, and a stylish retractable cabin cover. If you crave speed then check out the GT Fastback Mustang. It has a blazingly fast 5.0L Ti VCT V8 engine. Ford engineers cranked the horsepower on this engine all the way up to 460. The Ecoboost Premium Convertible package includes a 10-speed automatic transmission to improve the car’s responsiveness on the road. The GT Premium Fastback has the 10-speed transmission and the 5.0L V8, but we also like its optional dual exhaust. You can really hear the Mustang roar with this exhaust installed. Check out the optional 12-inch digital display cluster on the GT Premium Convertible trim. It’s the first all-digital and most comprehensive display that Ford has ever put inside a Mustang. The readout is near the edge of the dashboard, so you can always stay focused on the road. For true racing fans, the Shelby GT350 Mustang will let you assault the track and race like never before. It has an explosive 5.2L V8 engine and 19-inch carbon fiber wheels. 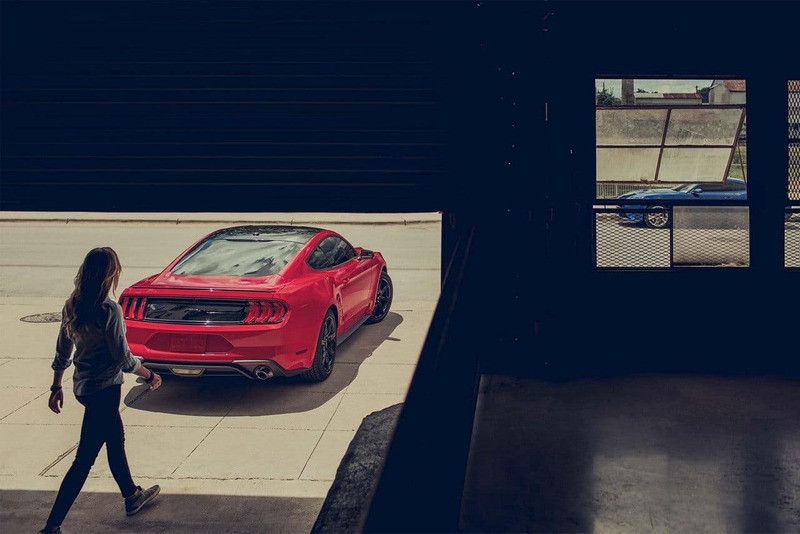 The ultimate new Mustang, the Shelby GT350R has the lowest weight of any of the Mustang models. Every inch of this Shelby is dedicated to racing, ensuring you always stay at head of the pack. Tomball Ford is proud to welcome the legendary Mustang back to our auto dealership. Whether you are a racing veteran or a rookie, Tomball will give you tremendous customer service. We are happy to help finance any of our new or used vehicles. 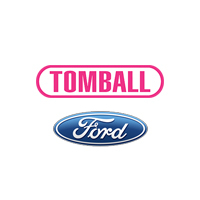 Simply ask one of our satisfied customers from Conroe, The Woodlands, or Cypress and you’ll understand why Tomball is Houston’s leading Ford dealer.